How To Fix Heel Slippage In Boots In 7 Simple Steps – Know It Here! Shoes should be comfortable and wearing them should not cause you any hassles or troubles, but heel slippage can sometimes cause some problems and wearing your shoes might become a cumbersome process. 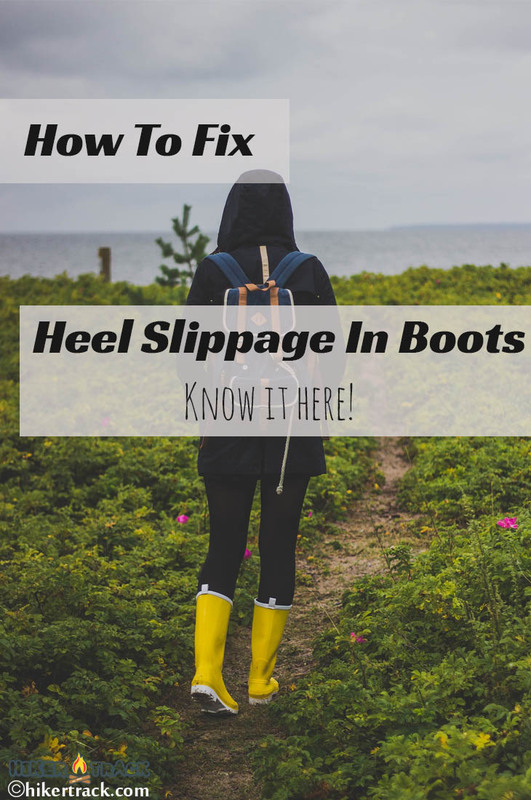 To prevent this from happening, we have done all the legwork and found a few helpful tips for you to fix heel slippage in boots easily. Heel slippage is the process when you heel slips out of the boot and you need to focus on keeping the heel in the boot. 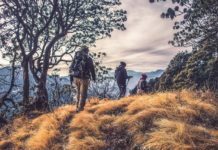 Walking is something that should come naturally and once you need to worry about the heel slipping in and out of the boot, the process starts taking up some of your brainpower and might be frustrating as well. 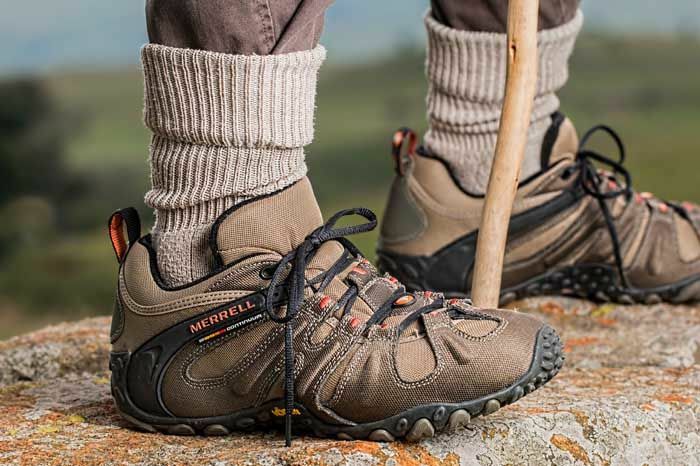 ​Heel slippage can also be quite dangerous if you are an outdoor enthusiast. Walking on many of these ledges and riverbanks that require some balance, might pose a little threat to you. Heel slippage can also cause you problems on the job and you run a massive risk of getting abrasions in the heel area of the boot. 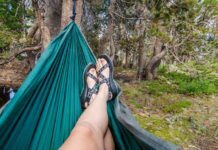 Understanding what heel slippage is will not help you avoid the problem, but we have done some research and tests to find the top tips for you to get rid of heel slippage and enjoy wearing your favorite boots again. The size is one of the most important parts of these boots and with the right size; you will completely avoid the problem or greatly reduce the chances of it. The right-sized shoe will stick to your feet and the heel will generally be supported and locked into place. The right size is fundamentally important when trying to avoid potentially abrasions and when you are trekkin﻿﻿g through dangerous areas. Having the right size is not always possible. With wider and narrower feet warranting larger and smaller boots, this can be somewhat of a problem. We recommend looking for the perfect fit to ensure that you not only have comfort but great balance as well. The laces will give you control over the feel of the shoe and the fit. Having good laces is necessary if you are looking for the best possible comfort. 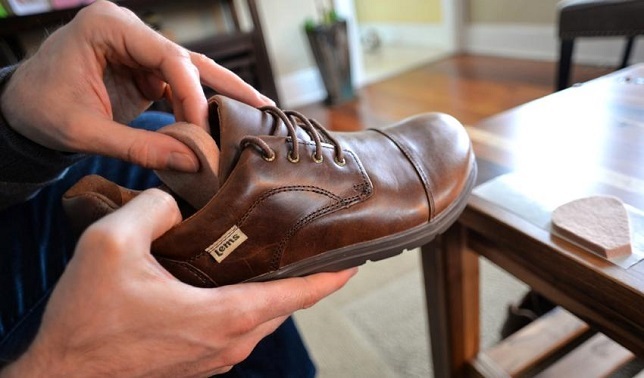 Once the laces have been securely tightened, the shoe will stick around the heel and this also adds some support. 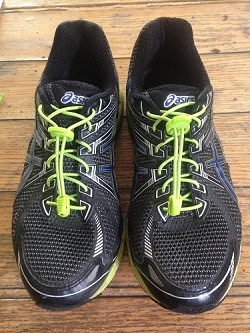 The speed laces with eyelets are the best and they offer you great durability and versatility. Tongue pads are one of the least common shoe accessories you could find, but it is really effective when suffering from heel slipping. Since the tongue on most boots is always accessible and available, you could easily just add the pad to force the foot back into the center and keep the heel locked into place. The tongue pads are really affordable and they cannot be seen, but the comfort level will certainly go up. These are definitely not the most stylish and they are sometimes in the way, but if the laces continually fall open or they tear, this will be a great way to keep your shoes fastened and your heel will continuously stay locked into place. The lace anchors aren’t permanent and they can also be removed if you feel like you have made another plan to get rid of the heel slippage. Non-slip linings are often times already included in many boots, but by having the right lining, you will improve the comfort level even more. These linings are a little more rugged and this can be daunting, but they remain soft and will keep the heel from slipping out. The only downside is the additional costs added when purchasing them separately. Normal retail socks are designed with a smooth outer surface and this does make it much easier to get into your shoes and it looks much better, but if you love wearing your boots often and the heel slippage persists, you should consider looking into the non-slip socks. These socks are rugged on the outside and they will comfortably stick to the outer lining of the boot. By combining this step with the previous step, you should remove the chances of abrasions setting in and the heel will be kept intact with all of the friction caused by the rubbing of the socks and the lining. Changing a habit is not easy but if you cannot find any effective way of reducing heel slippage, the walking style should be changed. 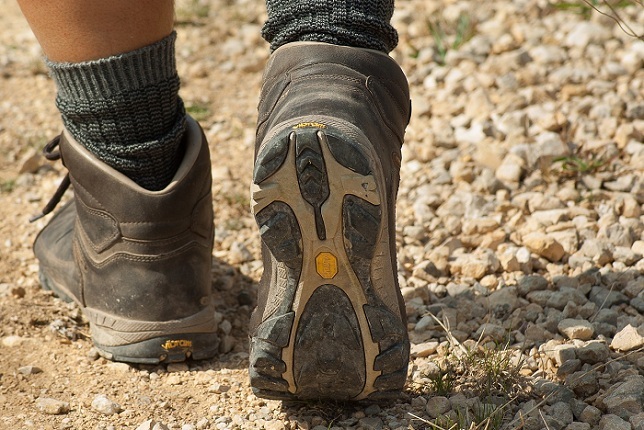 When thru-hiking or trekking, your heel must touch the ground first instead of the middle foot or the ball area. While many of these tips do require some sort of purchase, we have found 2 handy tips that can be used at home if you have not had the time to visit the doctor or the pharmacy to get the right additions for your shoes. - Double-sided tape: Double sided tape works quite effectively and while it does not sound practical, it will keep your feet and your heels locked into place. Double-sided tape is also one of the most affordable options and it can be found in most homes already. - Hairspray: Using hairspray might not seem like a good idea and it is definitely not the permanent solution to your heel slipping problems. The hairspray tends to make your feet and even the sock a little stickier and this will force it to stay in place when moving. Nevertheless, this can also lead to potentially harmful abrasions if used for too long. 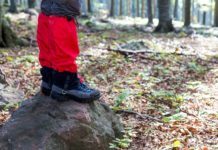 These two methods might not be the flashiest, but they will buy you sometime if you are busy or having a new pair of boots on the road. Heel slippage should definitely not ruin your day and walking should remain a natural thing that we do without even thinking. These tips will certainly help you reduce the pains of heel slippage and they are quite affordable as well. The best way to use these tips will be in conjunction with one another and your heel slippage will be a thing of the past.